Two Shimano E-Assist systems. NEW Shimano E6100 System and the E8000. 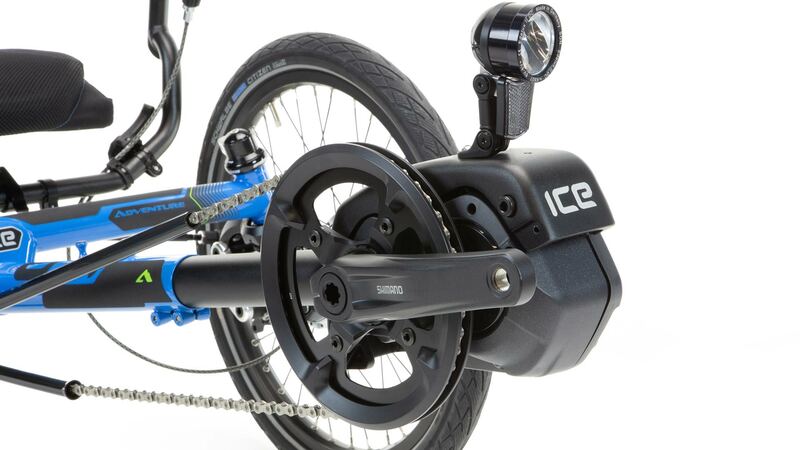 Shimano STEPS – Available on most ICE Folding trikes. Please note that STEPS is not available as a retro fit kit. 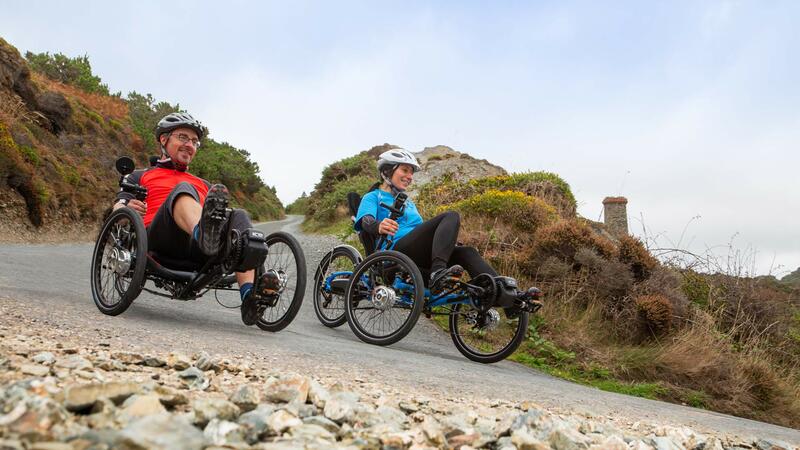 Beautifully integrated into our trikes, the Shimano STEPS Electric assist systems give the push you need to explore further with ease. 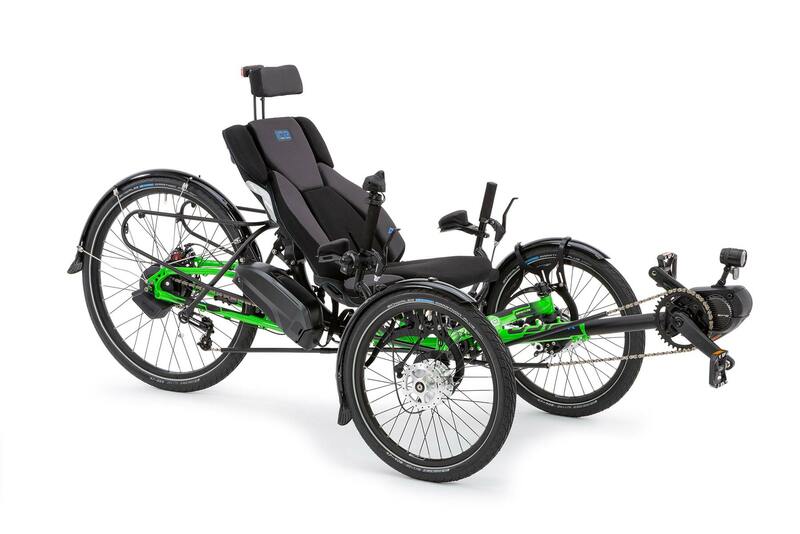 With the integrated 250w motor mounted at the front of the trike, the battery mounted under the trikes seat, a handlebar mounted computer and controller for easy access and a neat, well protected wiring loom, the whole system blends in and keeps your trike looking as great as ever. Available in two models and now with optional fully automatic electronic gear shifting at the push of a button and integrated smart lighting. The Shimano STEPS E6100 system includes a powerful motor with a smooth output. 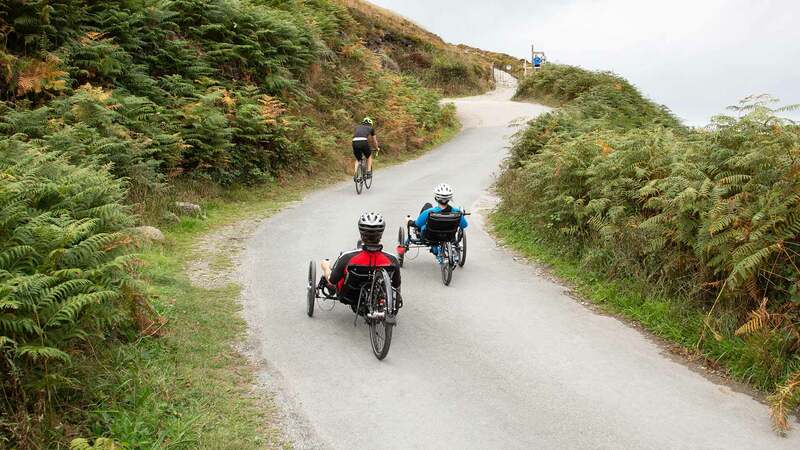 Providing a seamless and easy ride from a standing start even on steep inclines. Featuring a powerful 250w electric motor, 60Nm torque and 418 Wh or 504 Wh battery. Choose between High, Normal, Eco and Walk modes. Supports speeds up to 25 km/h or 20mph depending on regional regulations. The easy to read LCD computer and its control unit have a clear and intuitive interface, loaded with functionality. Compact, fully weather resistant and durable. Bluetooth technology lets you adjust modes and setting of your ride from your smartphone. The computer will keep you up to date with all the information you need throughout your ride. 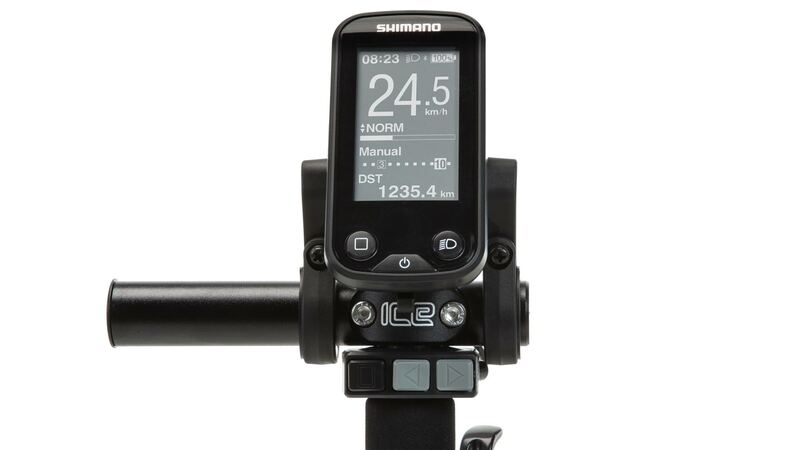 The Shimano STEPS runs, as standard, with Di2 software communication and Bluetooth technology. This software allows ICE dealers to quickly and simply run a full diagnostics test at your convenience as part of a general service. 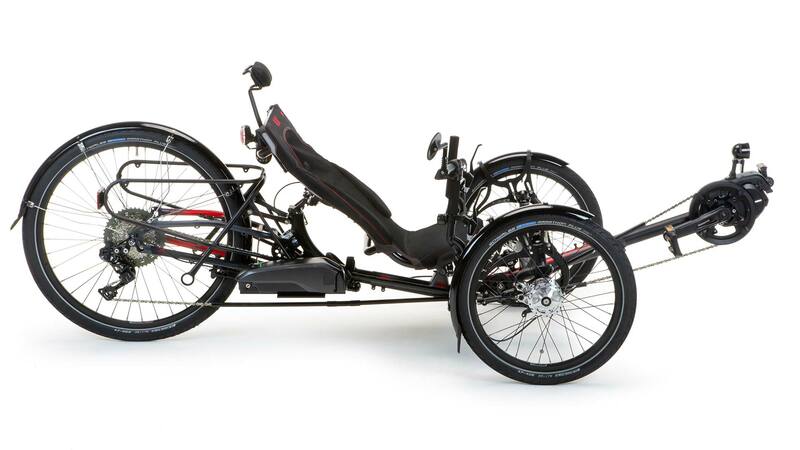 The optional Alfine 8 speed Di2 hub gives the trike fully automatic electronic gear shifting at the push of a button. 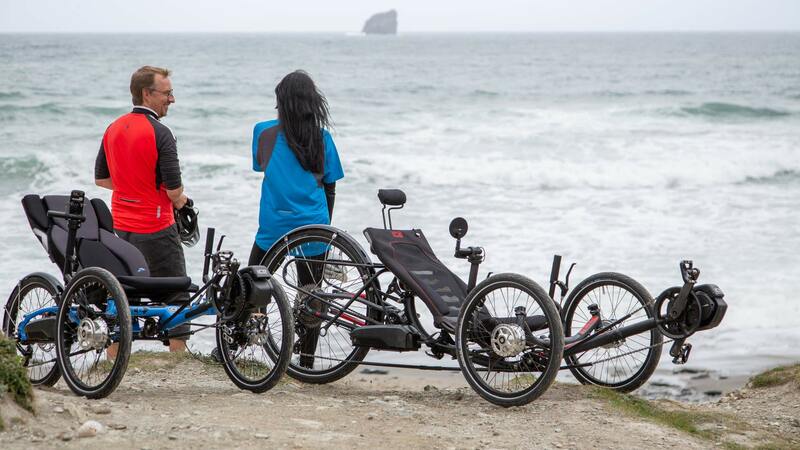 Select ‘Auto’ on the controller and the trike will always shift to the best gear for any situation. If you want to get more involved, simply select ‘Manual’ and you're now in full control. Both automatic and manual modes are fully electronic. The best of both worlds. Economical manual derailleur and hub gear shifting systems are also available. The Shimano STEPS system comes with an optional integrated 6v DC power output for powerful lighting. A great choice for a completely seamless system. The E6100 system comes with a high quality 36V/11.6Ah (418 Wh) or 36v/14Ah (504 Wh) Shimano lithium-ion batteries. Securly key locked to the trike using the low stable mounting point, the battery can be conveniently charged in situ on the trike or away from the trike. The Shimano STEPS E8000 system includes a powerful motor with a smooth output. 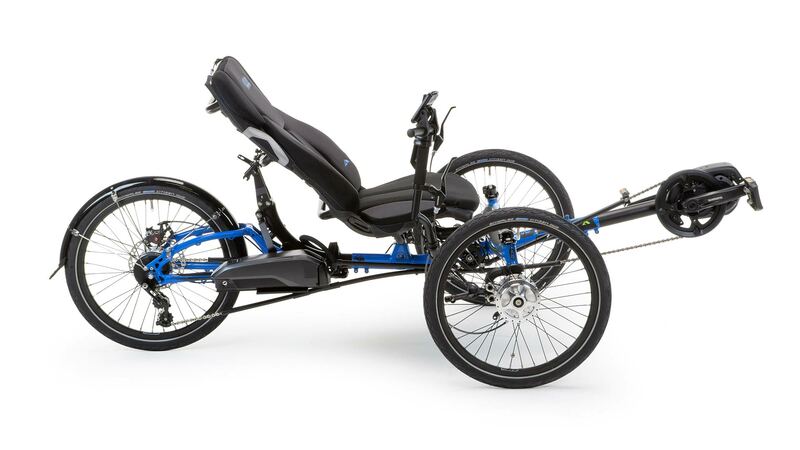 Providing a seamless and easy ride from a standing start even on steep inclines. Featuring a powerful 250w electric motor, 70Nm torque and 504 Wh battery. Choose between Boost, Trail, Eco and Walk modes. Supports speeds up to 25 km/h or 20mph depending on regional regulations. Optional XT Di2 electronic derailleur gear shifting gives electronic gear shifting at the touch of a button. 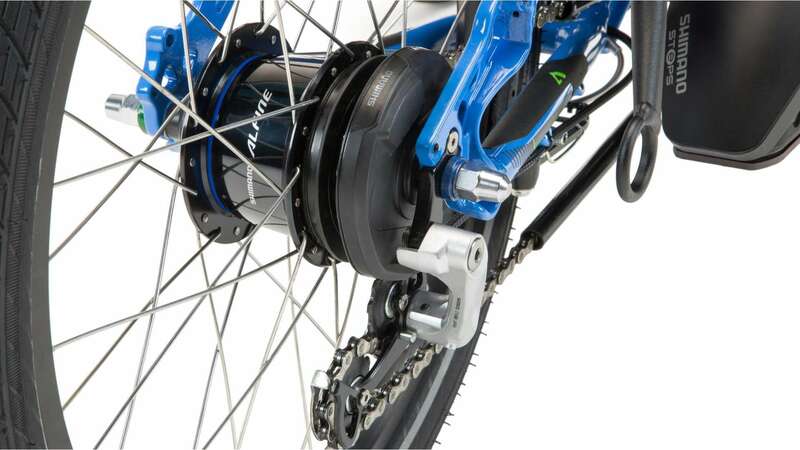 Economical manual derailleur and hub gear shifting systems are also available. The E8000 system comes with a high quality 36V/14Ah (504 Wh) Shimano lithium-ion battery. 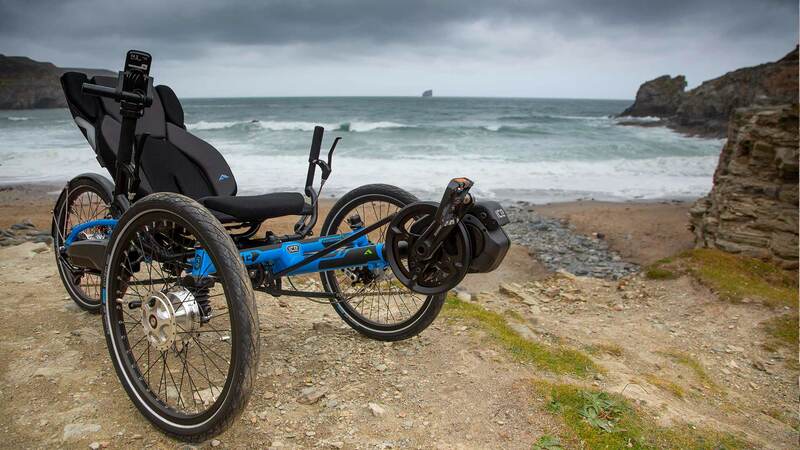 Securely key locked to the trike using the low stable mounting point, the battery can be conveniently charged in situ on the trike or away from the trike. 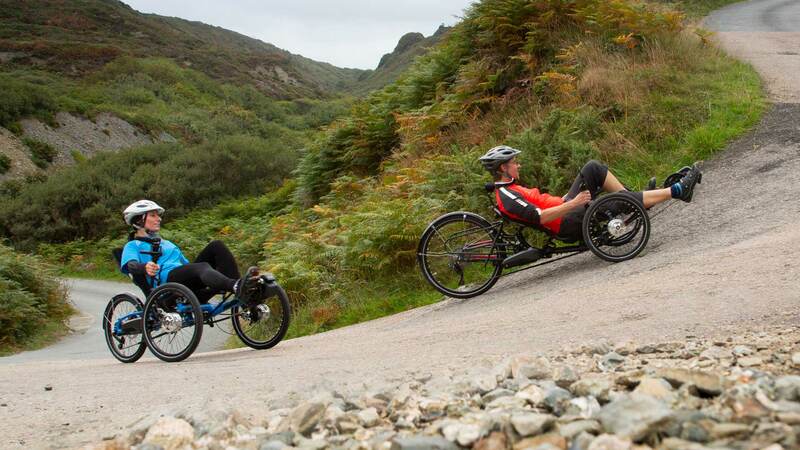 We believe in real world testing, so we tested two trikes on hilly Cornish roads using the E6100 on an Adventure HD and the E8000 on a Sprint X. (75kg rider + trike). 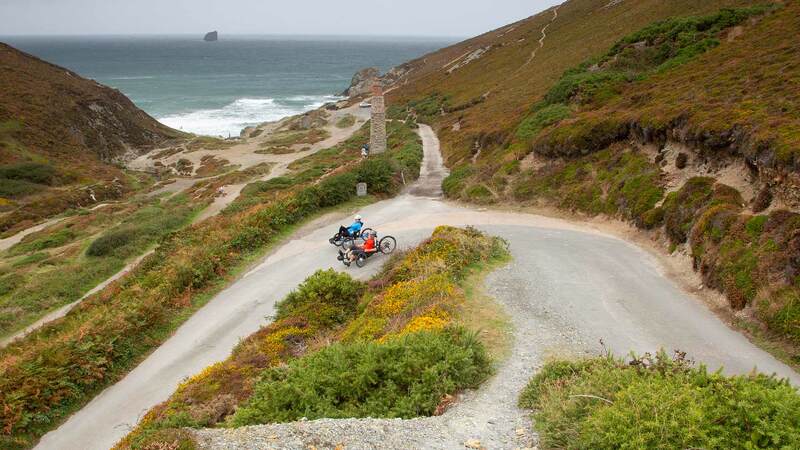 Your results will be slightly different depending on riding style and route conditions. Overall riding range would be greatly increased by using ECO mode in easy / level road conditions.